Fae Ola Satterwhite Zimmerlee, daughter of Robert Clarence Satterwhite and Della Ann Kinney, married to Milton 'Pete' Zimmerle and buried in Dewey Cemetery. Fae Ola Zimmerle, 89, unexpectedly passed away on Saturday, November 5, 2016 at a local hospital. A graveside service will be held at 4:00 PM on Wednesday, November 9, 2016 at the Dewey Cemetery's pavilion, Bro. Pat Voce officiating, directed by Fry~Smith Funeral Home, Tuscola. Visitation will be on Tuesday, November 8, 2016 from 5 PM until 7 PM at the funeral home. Fae Ola was born on March 30, 1927 to Robert and Della (Kinney) Satterwhite at their home in Lawn. She attended school in Lawn, graduating as a proud Lawn Longhorn. She attended business school in Abilene learning short hand. She married Pete Zimmerle on October 6, 1946, the settled Lawn and welcomed their first daughter Rita and then their son Wayne. Fae Ola worked for Timex as a hairspring opener on the assbley line, retiring in 1977 after 20 years. She then went to work as a fulltime homemaker, and mother. She loved to garden, yard work, and cook for her family. She was crazy about her children, grandchildren, great children, and her new great, great grandchild. 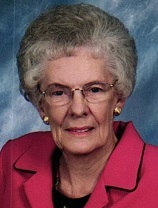 She is survived by her daughter, Rita Roberson and husband Ronald of Lawn, son, Wayne Zimmerle and wife Carolyn of Lawn, brother, Bobby Satterwhite of Lawn, four grandchildren, five great grandchildren and one great, great grandchild, three step grandsons, and five step great grandchildren. She was preceded in death by her parents, her husband Pete (1992), sisters, Elva, Erma, Murlee, brothers, Orville and Granville. In lieu of flowers donation can made to the Lawn Senior Citizens, 6417 US Highway 84 Lawn, TX 79530.